Drugs, and particularly chemotherapy drugs can deplete vitamin D levels. And good vitamin D levels are essential to prevent many different illnesses from Alzheimer’s to Ricketts and bone weakness in old age. Importantly, chemotherapy can reduce vitamin D to dangerously low levels in the bodies of cancer patients, causing severe vitamin D deficiency. And this happens at exactly the moment good vitamin D levels are crucial to a cancer patient. Vitamin D is essential in the fight against cancer - People with lowered levels are more likely to develop cancer; and for people with cancer, plasma levels of vitamin D are predictive of survival times. However, at the very moment you are fighting cancer and need good levels, the chemotherapy severely damages them. There are several reasons you need good vitamin D levels, not least vitamin D activates the immune system to attack cancer cells. Without it, the immune system is impotent. 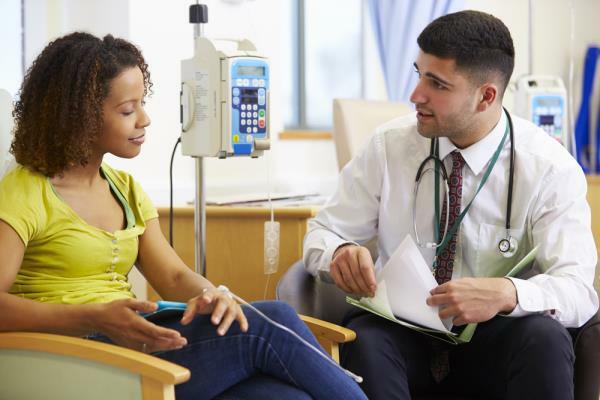 So, when you hear how cancer cells ‘hide’ from the immune system, spare a thought for how chemotherapy drugs help that happen! "If you are already thinking of supplementing with Vitamin D you may like to see what Natural Selection has to offer"
In February 2009, researchers from Roswell Park Cancer Center, studying patients with colorectal cancer, noted that vitamin D deficiency was linked to a heightened risk of the disease and lowered survival. They then showed that chemotherapy was associated with ‘severe vitamin D deficiency’. Each of three different chemotherapy treatments studied reduced plasma vitamin D levels down to 21.3 ng/ml, where 30-50 is an optimal range. The researchers recommended that colorectal cancer patients should be considered for ‘aggressive vitamin D replacement strategies’. A 2016 study on breast cancer by Dr. William Jacot and colleagues from Montpelier, France showed that ‘tailored vitamin D supplementation’ could keep plasma levels in the acceptable range in women with breast cancer even during chemotherapy. This followed 2012 research stating that ‘vitamin D deficiency remains rampant’ and that chemotherapy destroyed vitamin D levels in women with breast cancer. A deficiency in 80 per cent of patients before chemotherapy rose to 97 per cent after. And the average vitamin D level fell from a low 21.3 anyway, to a pitiful 14.7 ng/ml after chemotherapy. A quarter of the women treated fell below 10 ng/ml. Chris Woollams, founder of CANCERactive and former Oxford University Biochemist said, "These three studies are like horror stories. At the very moment cancer patients need good levels of vitamin D in their bodies because good levels have been proven to be critical to survival, along comes the chemotherapy with yet another side-effect. It lays waste to your vitamin D. I am appalled that the big cancer charities do do record this as a side-effect too."